Just north of the arctic circle lies one of my favorite cities. Tromsø, Norway is a beautiful Norwegian town — between whale watching, hiking around the fjords, and chasing the aurora borealis, there is plenty to keep travelers engaged and in awe. I recently purchased an iPad Pro with an Apple Pencil and instantly became addicted with Procreate — a brilliant illustration app. The many different brush settings simulate every kind of medium imaginable. 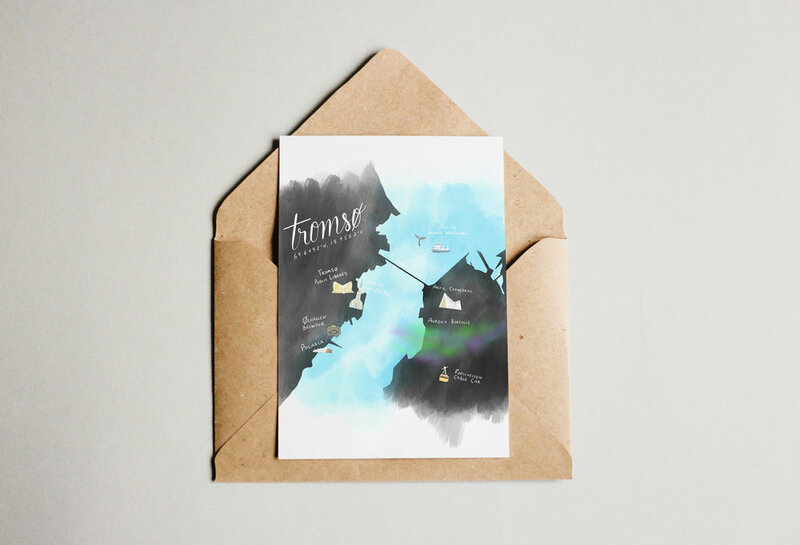 For this project, I illustrated a map of Tromsø to put on a postcard.